Stanford Advanced Materials (SAM) is a trusted manufacturer of Cadmium Sulfide (CdS). We always provide high quality CdS powder at a competitive price. 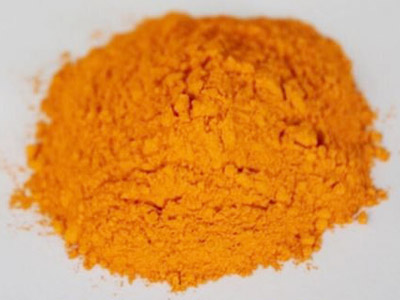 Cadmium Sulfide powder, also called Cadmium Sulfide yellow orange powder, Cadmium Sulphide and Cadmium yellow, is a yellow solid inorganic compound. Cadmium sulfide is soluble in acids. SAM markets its CdS powder for various applications. Cadmium Sulfide is widely used in solar cells, pigments, semiconductors, photoresistors, infrared two-color detectors and the manufacture of cathode radial radiation materials. We can also provide CdS powder with purity over 99.999%. The content of total impurity (silver, aluminum, copper, iron, magnesium, nickel, lead, calcium, zinc, tin, arsenic) is less than 10 PPM. Our Cadmium Sulfide (CdS) is clearly tagged and labeled externally to ensure efficient identification and quality control. Great care is taken to avoid any damage which might be caused during storage or transportation.